This article is about the year 1783. Wikimedia Commons has media related to 1783 . 1783 ( MDCCLXXXIII ) was a common year starting on Wednesday of the Gregorian calendar and a common year starting on Sunday of the Julian calendar , the 1783rd year of the Common Era (CE) and Anno Domini (AD) designations, the 783rd year of the 2nd millennium , the 83rd year of the 18th century , and the 4th year of the 1780s decade. As of the start of 1783, the Gregorian calendar was 11 days ahead of the Julian calendar, which remained in localized use until 1923. A common year starting on Wednesday is any non-leap year that begins on Wednesday, 1 January, and ends on Wednesday, 31 December. Its dominical letter hence is E. The most recent year of such kind was 2014, and the next one will be 2025 in the in the Gregorian calendar or, likewise, 2015 and 2026 in the obsolete Julian calendar. The century year, 1800, was also a common year starting on Wednesday in the Gregorian calendar, see below for more. Any common year that starts on Wednesday, Friday or Saturday has only one Friday the 13th; The only Friday the 13th in this common year occurs in June. Leap years starting on Tuesday share this characteristic. August 27 – Jacques Charles and Les Frères Robert launch the world's first hydrogen-filled balloon, Le Globe , in Paris. July 16 is the 197th day of the year in the Gregorian calendar. There are 168 days remaining until the end of the year. December 1 – Jacques Charles and Nicolas-Louis Robert make the first manned flight in a hydrogen-filled balloon, La Charlière , in Paris. Waterford Crystal is a manufacturer of crystal, named after the city of Waterford, Ireland. The brand is owned by WWRD Group Holdings Ltd., a luxury goods group which also owns and operates the Wedgwood and Royal Doulton brands, and which was acquired on 2 July 2015 by the Fiskars Corporation. November 2 is the 306th day of the year in the Gregorian calendar. There are 59 days remaining until the end of the year. 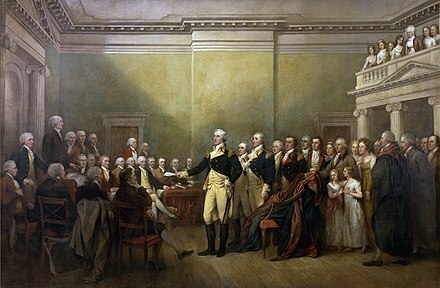 George Washington's resignation as commander-in-chief marked the end of Washington's military service in the American Revolutionary War and his return to civilian life at Mount Vernon. His voluntary action has been described as "one of the nation's great acts of statesmanship" and helped establish the precedent of civilian control of the military. After the Treaty of Paris ending the war had been signed on September 3, 1783, and after the last British troops left New York City on November 25, Washington resigned his commission as commander-in-chief of the Continental Army to the Congress of the Confederation, then meeting in the Maryland State House at Annapolis, Maryland, on December 23 of the same year. This followed his farewell to the Continental Army, November 2 at Rockingham near Princeton, New Jersey, and his farewell to his officers, December 4 at Fraunces Tavern in New York City. Washington's resignation was depicted by John Trumbull in 1824 with the life-size painting, General George Washington Resigning His Commission, now on view in the United States Capitol rotunda. The Articles of Confederation, formally the Articles of Confederation and Perpetual Union, was an agreement among the 13 original states of the United States of America that served as its first constitution. It was approved, after much debate, by the Second Continental Congress on November 15, 1777, and sent to the states for ratification. The Articles of Confederation came into force on March 1, 1781, after being ratified by all 13 states. A guiding principle of the Articles was to preserve the independence and sovereignty of the states. 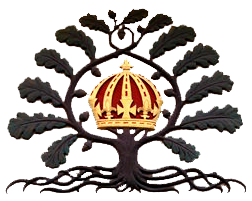 The weak central government established by the Articles received only those powers which the former colonies had recognized as belonging to king and parliament. 1782 (MDCCLXXXII) was a common year starting on Tuesday of the Gregorian calendar and a common year starting on Saturday of the Julian calendar, the 1782nd year of the Common Era (CE) and Anno Domini (AD) designations, the 782nd year of the 2nd millennium, the 82nd year of the 18th century, and the 3rd year of the 1780s decade. As of the start of 1782, the Gregorian calendar was 11 days ahead of the Julian calendar, which remained in localized use until 1923. 1784 (MDCCLXXXIV) was a leap year starting on Thursday of the Gregorian calendar and a leap year starting on Monday of the Julian calendar, the 1784th year of the Common Era (CE) and Anno Domini (AD) designations, the 784th year of the 2nd millennium, the 84th year of the 18th century, and the 5th year of the 1780s decade. As of the start of 1784, the Gregorian calendar was 11 days ahead of the Julian calendar, which remained in localized use until 1923. The Continental Congress, also known as the Philadelphia Congress, was a convention of delegates called together from the Thirteen Colonies. It became the governing body of the United States during the American Revolution. The Congress met from 1774 to 1789 in three incarnations. The first call for a convention was made over issues of the blockade and the Intolerable Acts penalizing the Province of Massachusetts Bay. In 1774 Benjamin Franklin convinced the colonial delegates to the Congress to form a representative body. Much of what we know today comes from the yearly log books printed by the Continental Congress called Resolutions, Acts and Orders of Congress, which gives a day-to-day description of debates and issues. The Treaty of Alliance with France or Franco-American Treaty was a defensive alliance between France and the United States of America, formed in the midst of the American Revolutionary War, which promised mutual military support in case fighting should break out between French and British forces, as the result of signing the previously concluded Treaty of Amity and Commerce. The alliance was planned to endure indefinitely into the future. Delegates of King Louis XVI of France and the Second Continental Congress, who represented the United States at this time, signed the two treaties along with a separate and secret clause dealing with future Spanish involvement, at the hôtel de Coislin in Paris on February 6, 1778. 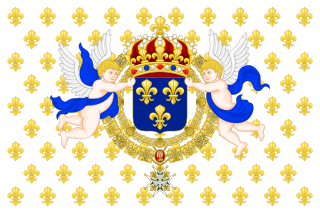 The Franco-American alliance would technically remain in effect until the 1800 Treaty of Mortefontaine, despite being annulled by the United States Congress in 1793 when George Washington gave his Neutrality Proclamation speech saying that America would stay neutral in the French Revolution. Timeline of the American Revolution — timeline of the political upheaval in the 18th century in which Thirteen Colonies in North America joined together for independence from the British Empire, and after victory in the Revolutionary War combined to form the United States of America. The American Revolution includes political, social, and military aspects. The revolutionary era is generally considered to have begun with the passage of the Stamp Act in 1765 and ended with the ratification of the United States Bill of Rights in 1791. The military phase of the revolution, the American Revolutionary War, lasted from 1775 to 1783. The Congress of the Confederation, or the Confederation Congress, formally referred to as the United States in Congress Assembled, was the governing body of the United States of America that existed from March 1, 1781, to March 4, 1789. A unicameral body with legislative and executive function, it comprised delegates appointed by the legislatures of the several states. Each state delegation had one vote. 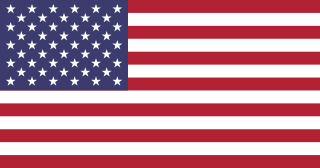 It was preceded by the Second Continental Congress (1775–1781) and governed under the newly adopted Articles of Confederation and Perpetual Union, which were proposed in 1776–1777, adopted by the Continental Congress in July 1778 and finally agreed to by a unanimous vote of all thirteen states by 1781, held up by a long dispute over the cession of western territories beyond the Appalachian Mountains to the central government led by Maryland and a coalition of smaller states without western claims, the plan introduced by Maryland politician John Hanson; the plan is referred to as 'The Hanson Plan'. The newly reorganized Congress at the time continued to refer itself as the Continental Congress throughout its eight-year history, although modern historians separate it from the earlier bodies, which operated under slightly different rules and procedures until the later part of American Revolutionary War. The membership of the Second Continental Congress automatically carried over to the Congress of the Confederation when the latter was created by the ratification of the Articles of Confederation. 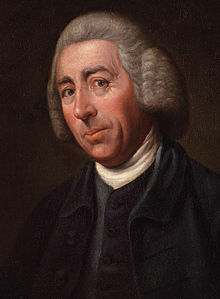 It had the same secretary as the Second Continental Congress, namely Charles Thomson. The Congress of the Confederation was succeeded by the Congress of the United States as provided for in the new Constitution of the United States, proposed September 17, 1787, in Philadelphia and ratified by the states through 1787 to 1788 and even into 1789 and 1790. The Franco-American alliance was the 1778 alliance between the Kingdom of France and the United States during the American Revolutionary War. Formalized in the 1778 Treaty of Alliance, it was a military pact in which the French provided many supplies for the Americans. The Netherlands and Spain later joined as allies of France; Britain had no European allies. The French alliance was possible once the Americans captured a British invasion army at Saratoga in October 1777, demonstrating the viability of the American cause. The alliance became controversial after 1793 when Britain and Revolutionary France again went to war and the U.S. declared itself neutral. 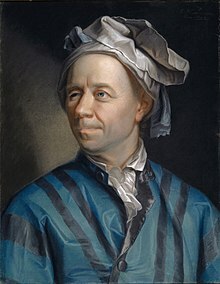 Relations between France and the United States worsened as the latter became closer to Britain in the Jay Treaty of 1795, leading to an undeclared Quasi War. 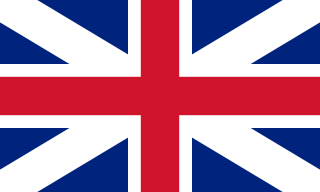 The alliance was defunct by 1794 and formally ended in 1800. Events from the year 1778 in the United States. Events from the year 1782 in the United States. 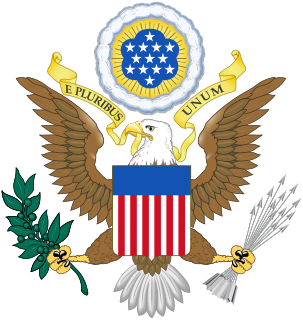 The Treaty of Amity and Commerce Between the United States and Sweden, was a treaty signed on April 3, 1783 in Paris, France between the United States and the Kingdom of Sweden. The treaty established a commercial alliance between these two nations and was signed during the American Revolutionary War. ↑ Cobbett, William, ed. (1814). The Parliamentary History of England: From the Earliest Period to Year 1803, Vol. XXIII: The Parliamentary Debates, 10 May 1782 to 1 December 1783. London: T. C. Hansard. pp. 346–354. ↑ Laws of the United States of America; from the 4th of March, 1789, to the 4th of March, 1815, Vol. 1. Weightman. 1815. p. 708. ↑ Klerkäng, Anne (1958). Sweden - America's First Friend. Örebro. Includes fascimile reproduction of treaty text. ↑ Bressan, David. "8, June 1783: The Laki eruptions" . Retrieved 30 April 2012. ↑ "Palau". Archived from the original on 2007-12-26. Retrieved 2016-02-09. ↑ Fleming, Thomas. "The Most Important Moment in American History". History News Network. Retrieved 2016-05-17. ↑ Brookhiser, Richard (1996). Founding Father: Rediscovering George Washington. Newark, NJ: Free Press. p. 103. ISBN 9780684822914. ↑ "Washington Irving - American author". Encyclopedia Britannica. Retrieved 3 January 2017. ↑ "Samuel Prout (1783-1852)". artuk.org. Retrieved 3 January 2017.